2014 Indie Design Gift-A-Long Has Arrived! The GAL is back for another year and bigger and better than ever! If you have a burning desire to knit like crazy along with a desire to socialize and try your hand at a chance to win many, wonderful prizes; GAL2014 is the place to be on Ravelry. Want to know more? I thought so. Here are the particulars in a nutshell. 293 Indie designers are participating! Yes, really. 293! The entire GAL runs from Thursday, November 13th at 8pm (US EST) through Wednesday, December 31st at midnight (US EST). Select patterns from participating designers are discounted 25% during the sale period which runs Thursday, November 13th 8pm (US EST) through Friday, November 21st at 11:59pm (US EST). Use the coupon code giftalong2014 to receive your 25% off discount! KALs/CALs will be running throughout the entire GAL. If you participate in the KALs/CALs by knitting or crocheting ANY paid pattern by participating designers, you will also be eligible to win those aforementioned prizes! I will be there too as both a knitter (Hey, who doesn’t like to knit other designer’s awesome stuff?) and as a participating designer. Here is a collage of my patterns that are participating this year. 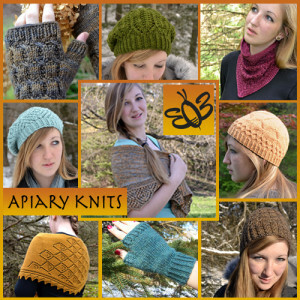 Hop on over to my Ravelry Designer Page to see my entire pattern collection – all eligible for GAL KAL prizes when knit and posted in the appropriate thread.